Netflix’s prized find of this year opens with a girl cycling down a deserted road in the dead of the night. She is being followed by ….for the want of stronger word…an eve-teaser who cycles lasciviously behind and beside her, pelting with his perverse chant. I won’t reveal how this terrifying sequence on Delhi’s horror roadway concludes. Suffice it to say, this unheard-of masterpiece with a cast of completely new actors, brings an experience from the lives of the women in Delhi’s police force without exaggerating, dramatizing or sentimentalizing their thankless work. Dammit, this gem of a film (where the sparkle is never a showroom sales pitch) doesn’t even get judgmental about those high-handed elements on the roads of Delhi who think they own it. They have their own code of conduct to follow. The goons and louts in the film are scarily “normal”. In one terrifying encounter with ruffians in a ladies’ washroom one of them refers to the singing legend reverentially as ‘Lataji’. 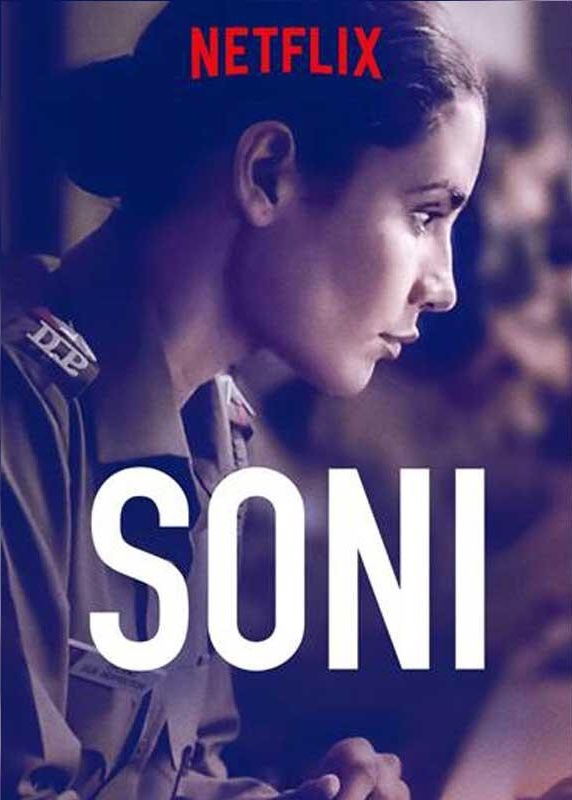 Soni enters the life of two female cops who become, for the want of a better term, the plot owners. Soni (Geetika Vidya Ohlyan) lives alone in a modest Delhi apartment, spends the entire night tracking down molesters and other habitual offenders, returns to an empty home in the morning, seldom cooks (the gas cylinder has been empty for a while and there is no one to replenish it), grabs two-egg omelettes during duty for dinner, and negotiates with worn-down patiently with a kindhearted neighbour’s meddlesome ministrations and a husband pleading to come back. We don’t know what happened between Soni and her estranged husband. And frankly she has no time to care. First-time director Ivan Ayr captures the rhythms of Soni’s life with candour and conviction and little room for self-congratulation. 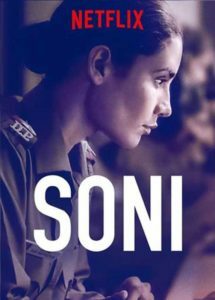 As the narration moves forward it binds Soni with her senior office Kalpana (Salomi Batra) who has to deal with the constant conflicts of interest between her home and profession. Both the principal actors Geetika and Saloni are absolutely unspoilt by camera technique. They take over the proceedings with a lack of fuss and an absolute disregard for the rules of the acting craft. They are not alone. The film is populated by actors who don’t ‘act’. This is the first film I’ve seen in my entire life which doesn’t have a single known or recognizable face. The fact that the characters are ‘faceless’ certainly makes them more tenable, urgent. By the time we are 5 minutes in director Ayr’s beat, we are looking not at artistic brilliance but a rare kind authenticity that Govind Nihalani’s classic cops saga Ardh Satya had obtained for itself 36 years ago. Soni’s anger-management problems reminded me of Om Puri in Ardha Satya. Except for one radical difference. Puri’s Anant Velankar could vent his spleen on one corrupt politician who embodied all the menace of corruption. By killing one man Anant felt vindicated. Soni’s fight against a corrupt rotten system is far less manageable. Throughout the film there is a mood of clamped suffocation gripping the heart of the characters. If the satya be told, then Anant could identify his enemy. Soni doesn’t even know whom she is fighting. Her fight against a putrid system is terrifying not because of her gender but because there is no one to pin the blame on.